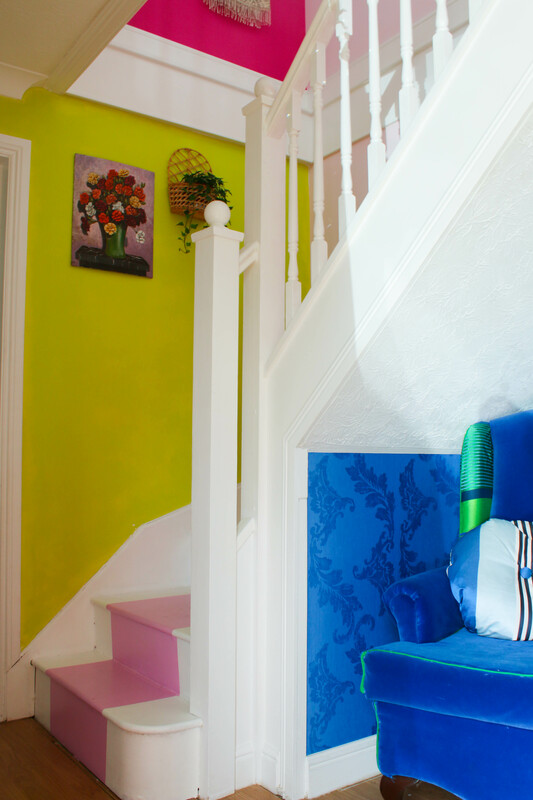 Do you have a space in your home that you can’t wait to redecorate? I certainly did… our stairway! I know it’s an area that is usually not considered a priority in the decorating list… but it can make a huge difference in the way the design and the energy flows around your home. And if you follow me on Instagram you probably noticed that I absolutely LOOOVE (and I mean it!) 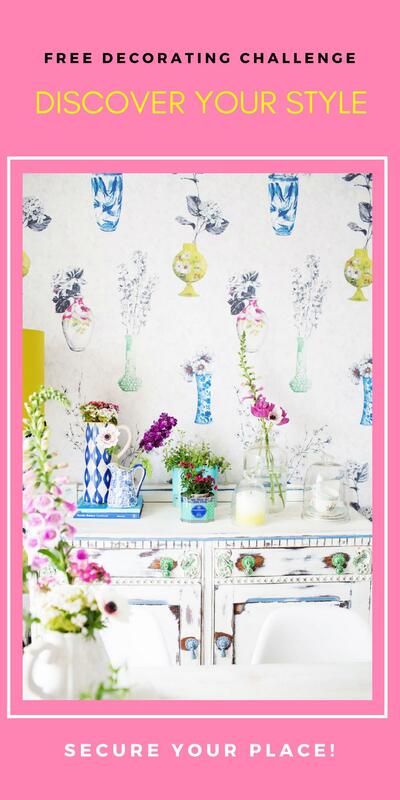 Designers Guild with all their colours, stunning patterns and luxury feel. Most of the wallpapers and fabrics we have in our home are from them. 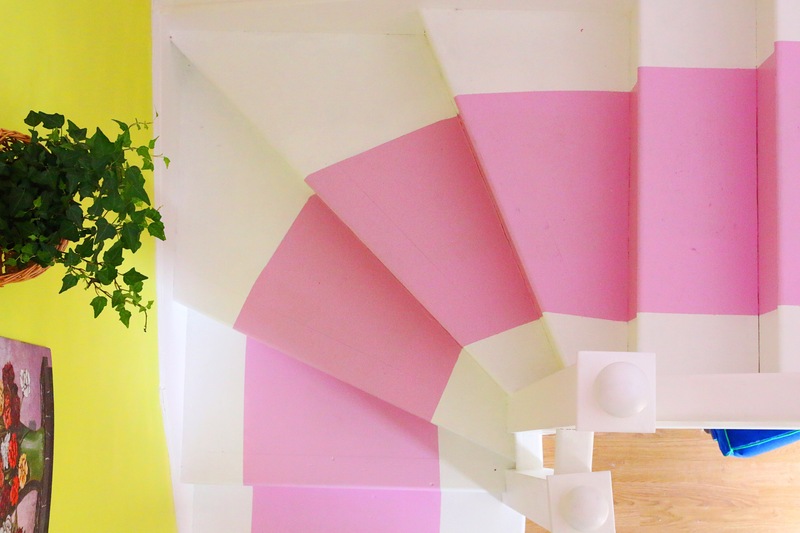 I’m sharing here with you the whole process I took to transform our dull and boring stairway into an area that complements the happy, vibrant vibe I’ve created for our home! I’m also sharing with you the links to the products I used for it, not just because it’s a sponsored post, but mostly because I really love them and I think you will love them too! The first thing I did was to get clear on the style I wanted to go. It was quite easy, as I already knew that it had to complement the “walk in the park” theme we have around our home. Then I decided how I wanted it to feel because much more important than how a space looks is how it makes you feel, right?! So I went for a happy, airy and fun vibe! Then, I got practical and analysed the space, writing down everything that needed to be addressed in order to support the design and the feelings I wanted to create for the area. 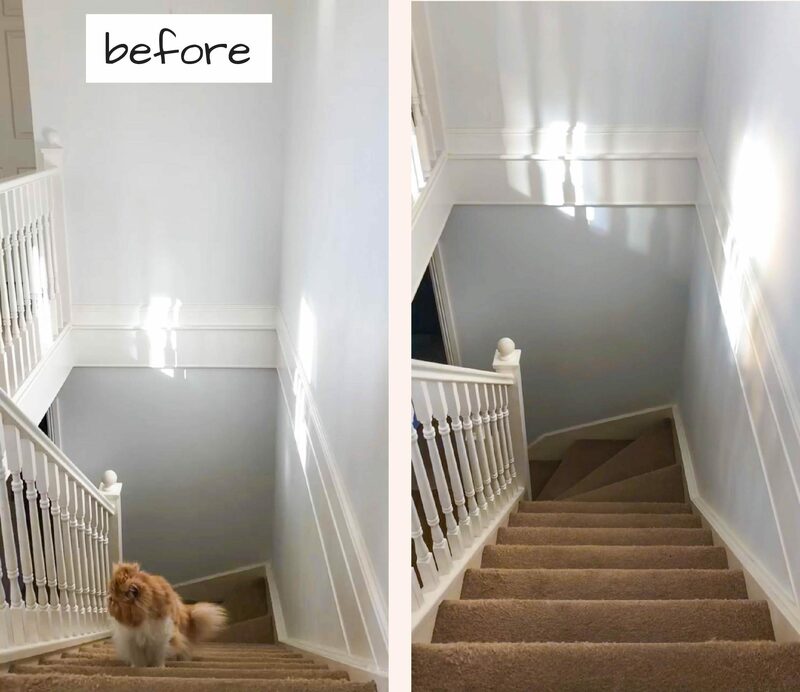 The main problem was that downstairs gets super dark when the front door is closed and the brown carpet on the stairs was making it even worst, as it absorbs the light instead of bouncing it. 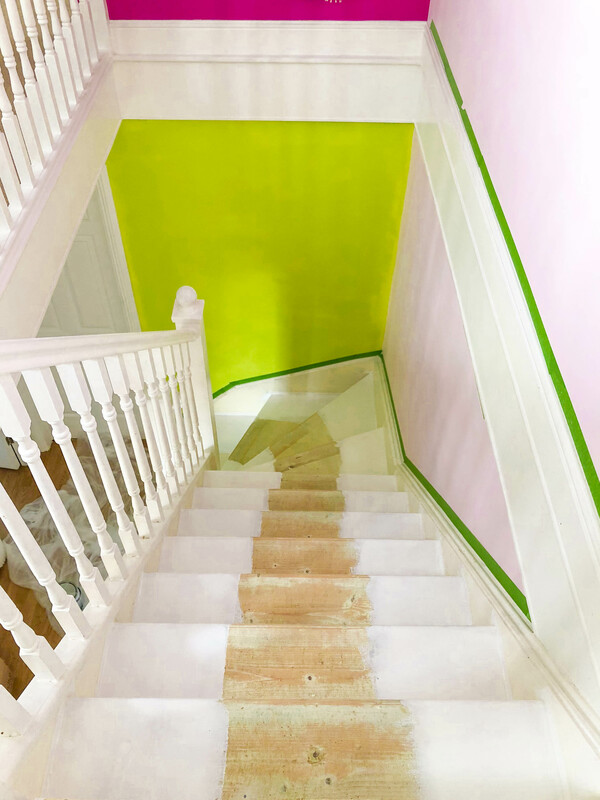 So I knew I would need to remove that horrible carpet and also be smart with my colour choices, especially for the wall on the bottom of the stairs as it’s SO dark there! 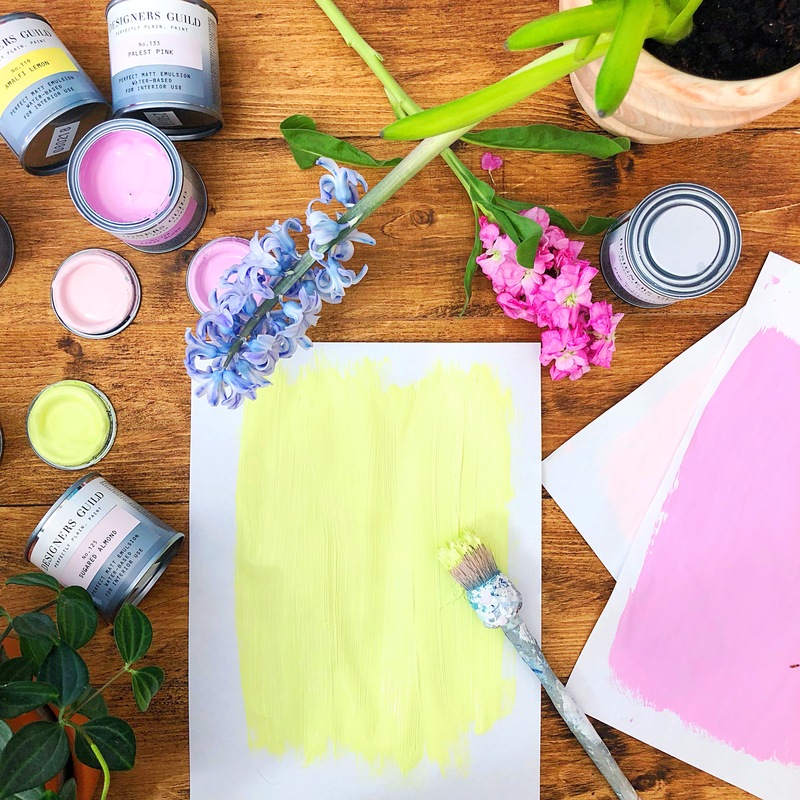 Now that I was clear about how I wanted the space to look, feel and also knew what problems I needed to address… It was time to get creative and choose the colours and products that would create the scheme. 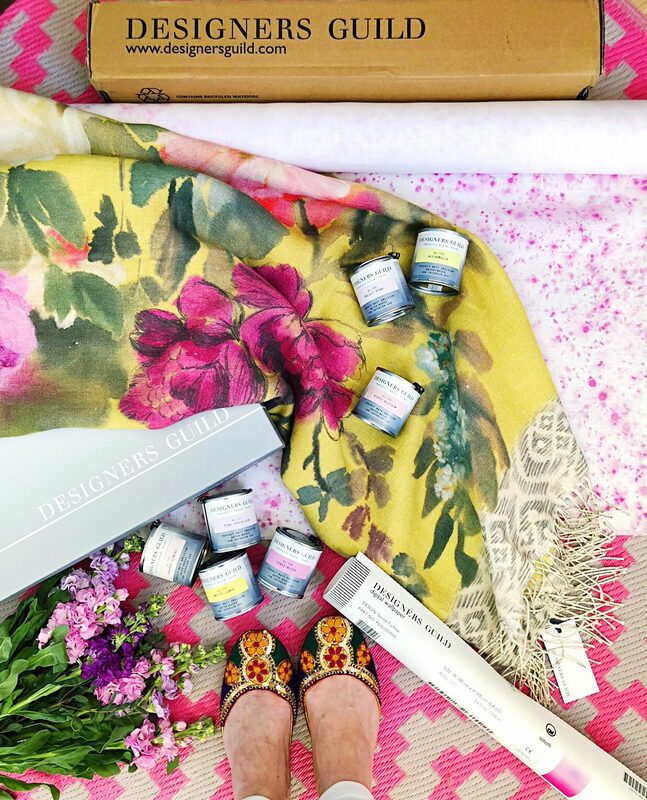 Then I visited the Designers Guild website and fell in love with the gorgeous Proserpine Magenta throw. 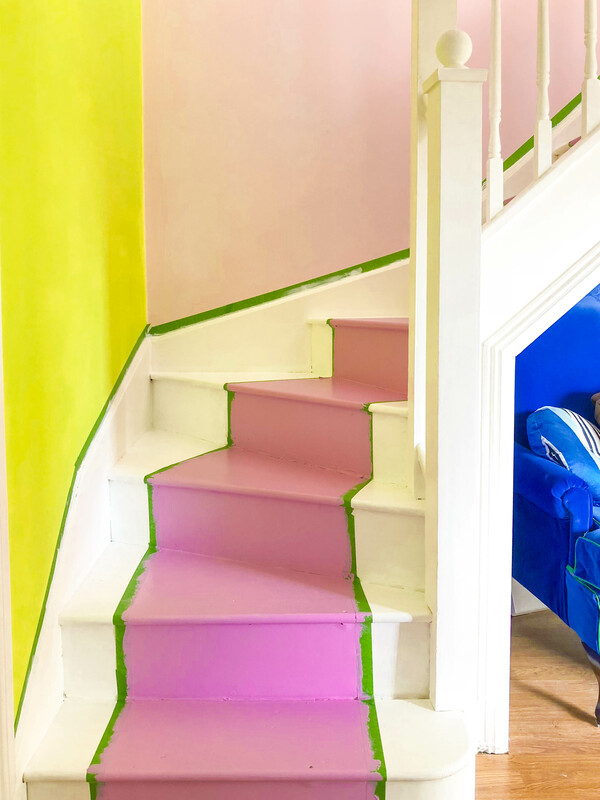 It was the perfect addition to the area and I ended up creating the whole scheme around it, picking the colours from it and working them around the room. 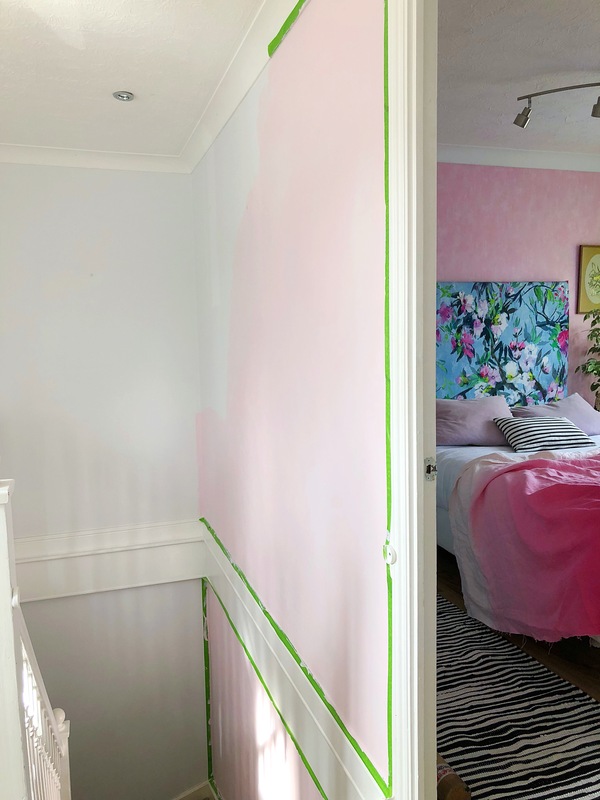 Before I started any painting and decorating I ordered some paint and wallpaper samples, as it’s always super important to test out the colours in the room they are going to be, as they can look completely different depending on how they catch the light! I like to paint some A4 size papers and stick them to the wall for 24hs and then watch how the colour looks in the area and at different times of the day. And then after selecting the products, I was ready to start the fun! First I painted the walls. 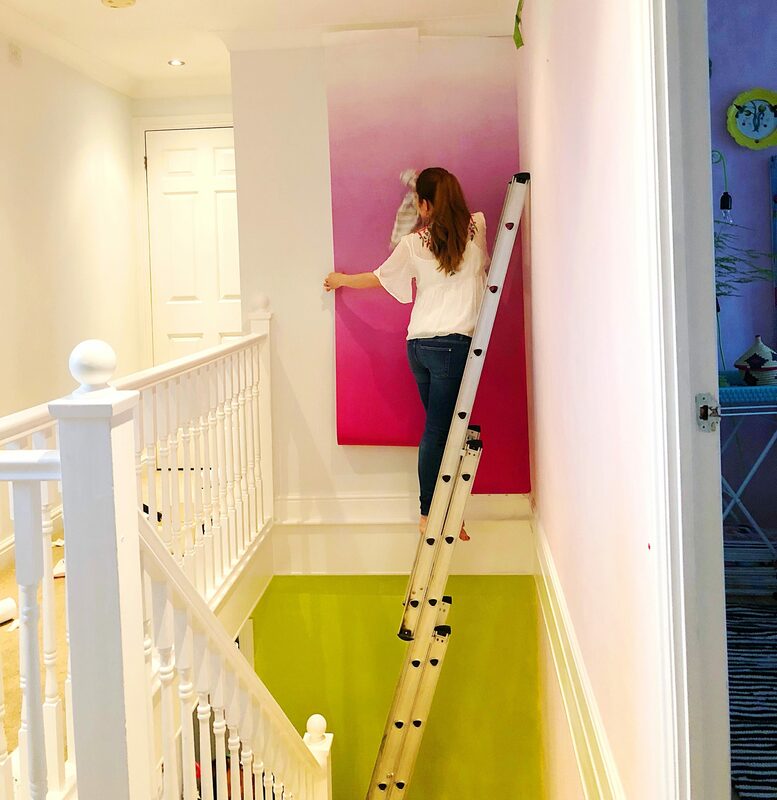 Upstairs I chose the most gorgeous pink, called Sugared Almond, it’s a very soft colour and it has completely transformed our walls… it really is the perfect balance between airy + cosy… love it! 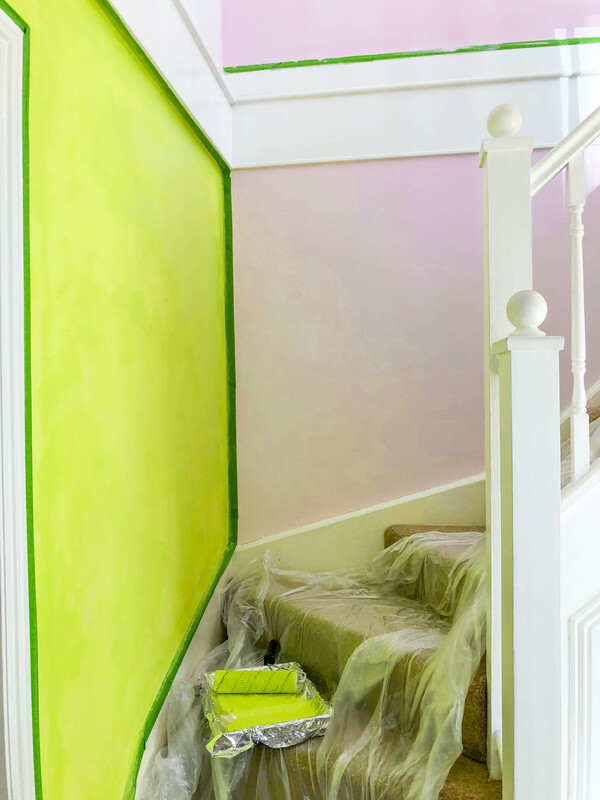 The dark walls downstairs really needed to look brighter and the Alchemilla paint colour was a perfect choice, as it’s a mix of green and yellow, it’s fresh + SO happy! Now even when the front door is closed that wall still feels bright! 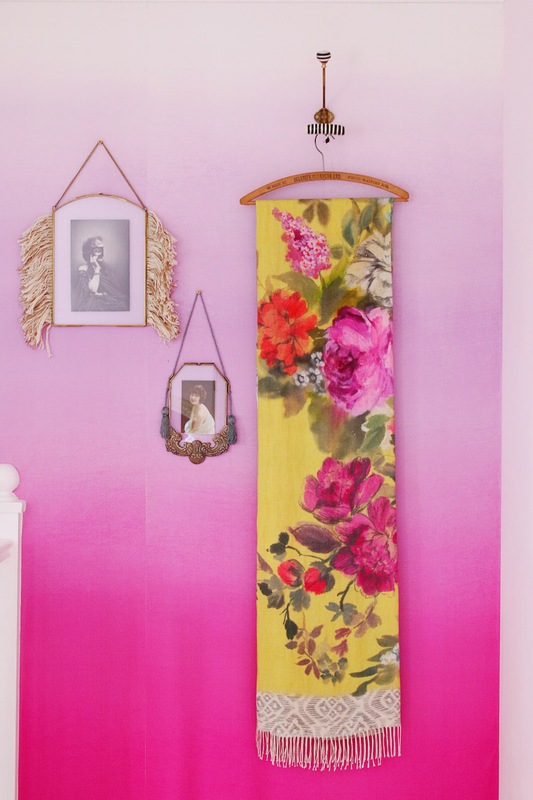 Then it was time to hang the wallpaper up, and I went for an ombre effect one, it’s called Savoie Fuchsia and it just makes the perfect backdrop for the throw as it picks the same colours from some of the flowers on it… just beautiful! The hardest part was removing the carpet from the stairs (I will write a post about it soon), but it was so worth it! For the runner, I chose the First Blush floor paint as it picks one of the shades from the wallpaper and ties the whole scheme together! It was so quick and easy to apply, less than one hour and I was done! Then finally I was ready to start styling and adding the finishing touches! 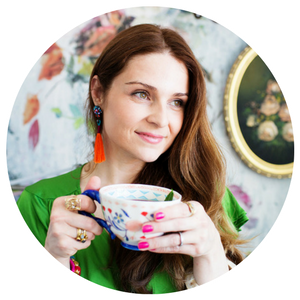 For the accessories, I chose lots of vintage treasures that I found in charity shops, eBay and vintage fairs + some other pieces that I already owned. But my favourite one is definitely the throw… it just makes me SO happy! 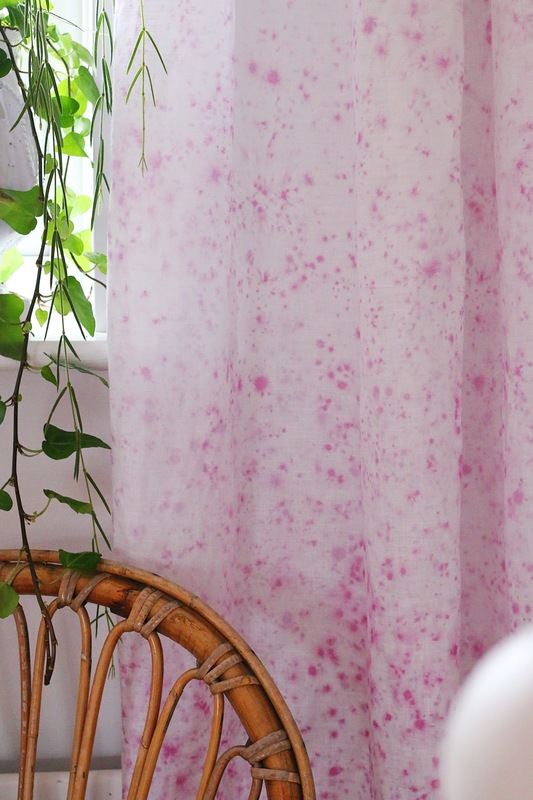 And for the curtains, I chose the Vanoise Fuchsia that is a very fun and light linen what made it so easy to sew it and make it into curtains in less than one hour! 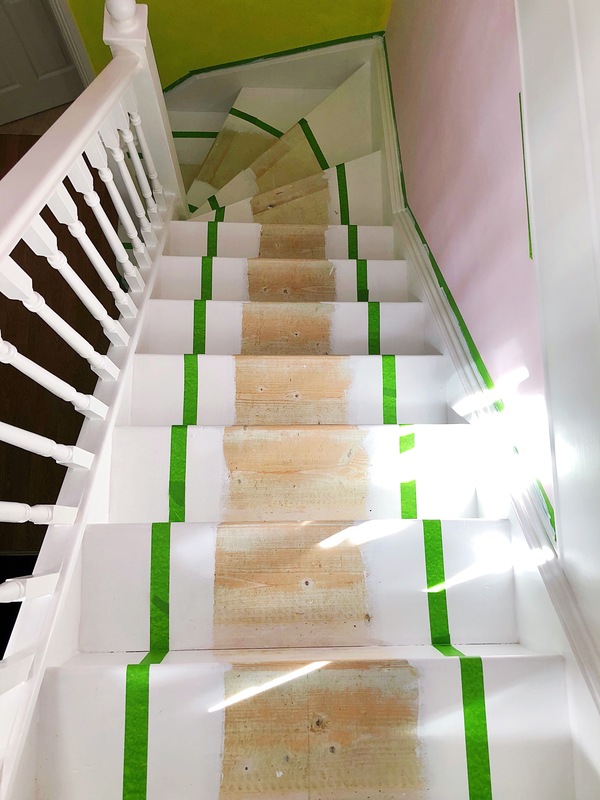 And ta-dah… Our stairway was ready! Hope this post left you feeling inspired to redecorate that room that doesn’t make you happy… It’s so important to live in a place we love and surround ourselves with things that makes us smile! And if you’re feeling that you can’t achieve the look you want within your budget… You totally can! You just need a clear vision of what you really love, lots of imagination and a plan on how to make the most of your budget! Here’s a link to a blog post and a workbook I created about it. I was so impressed with the quality and coverage of the paint, it was super creamy and easy to apply, dried very quickly and the best part was that it didn’t have that strong smell of paint! Plus their selection of colours is just stunning! 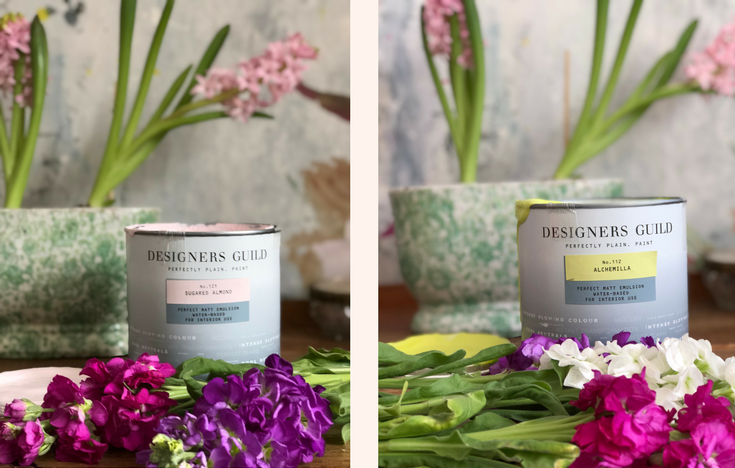 Here’s a sum up of all the gorgeous Designers Guild’s products used in this makeover. Even the paint tins are pretty! Wrap your painting tray with some foil… this way you don’t need to wash it after the job is done… you can just remove the foil and the tray will be ready to be reused! 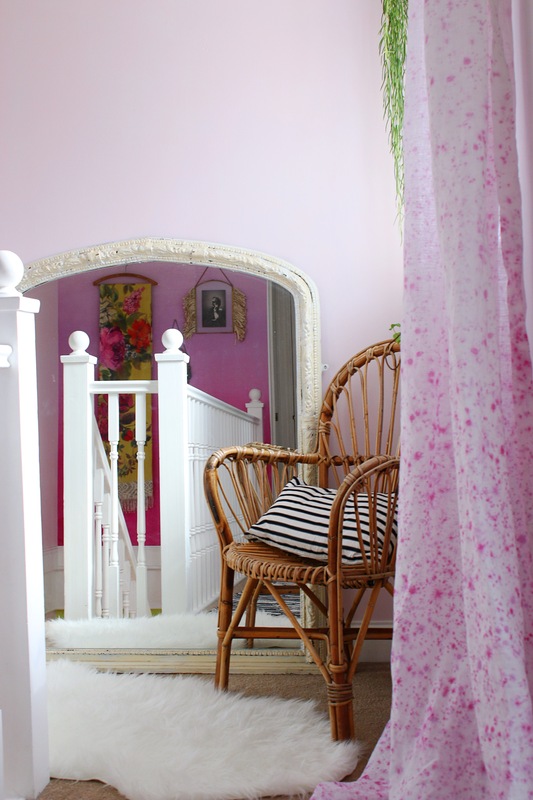 Love the pink wallpaper. This might work in my new small home we purchased. I also love the paint tray trick using foil. Thanks, lovely Footie! Yes, that wallpaper is so gorgeous! I love this! 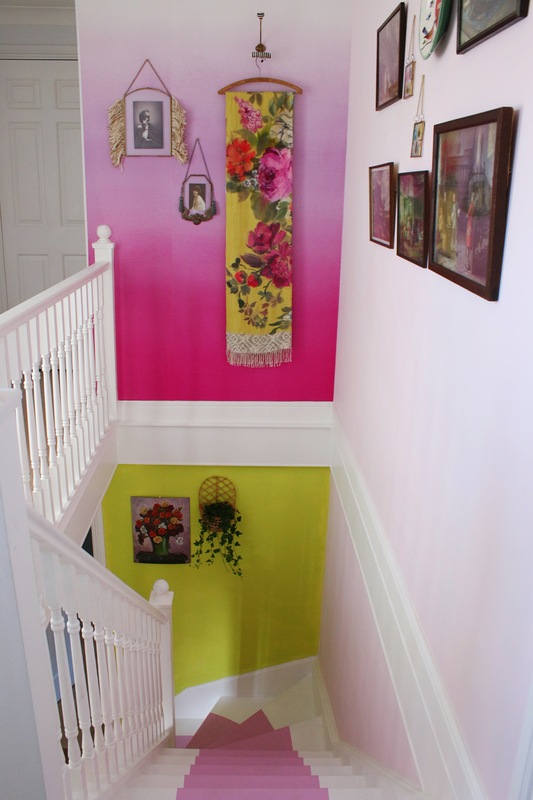 I’m planning a hallway makeover. Also before I’ve done any other rooms because I hate the depressing old smelly carpet and anyglpta wallpaper. This is a great inspiration thank you! 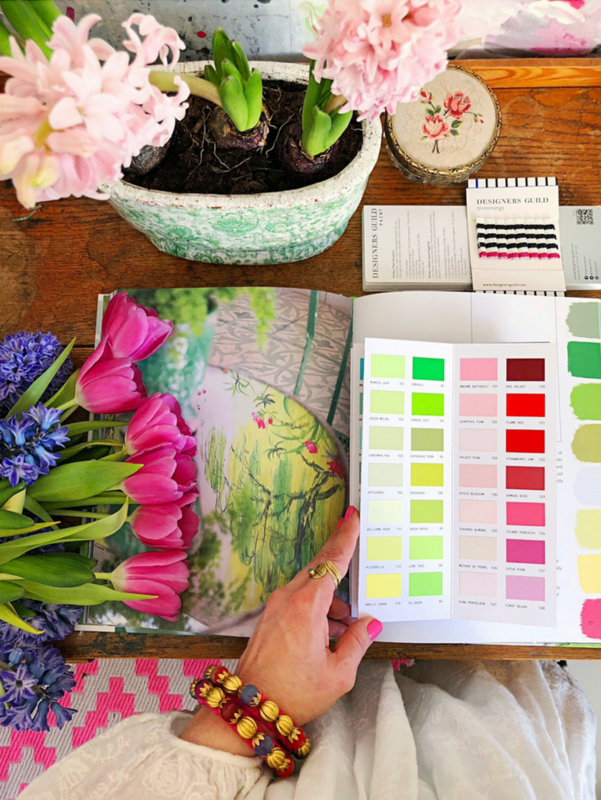 Also, where is the pink and white geometric rug from in your planning picture please? I love your colour scheme. The ombre effect of the wall paper is excellent. 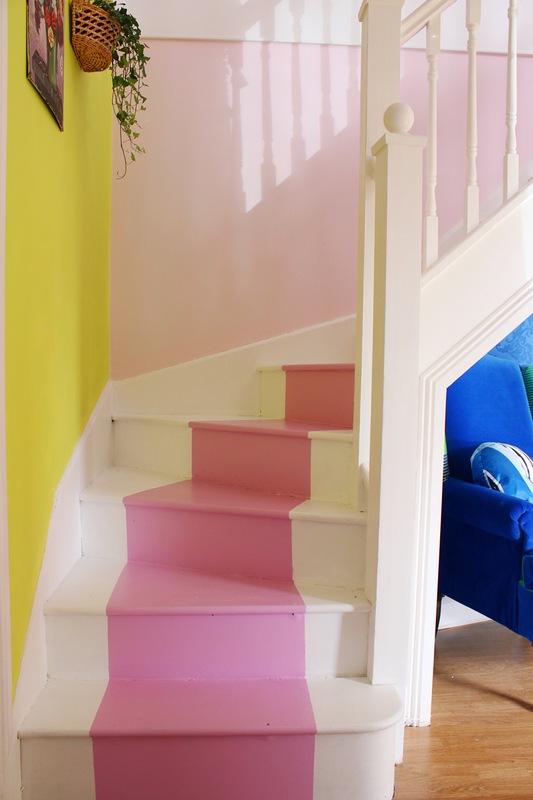 Brings even more light to the stairway.